To produce and serve quality food at realistic prices. To use local suppliers as much as possible to support our local businesses and to reduce food miles. To use higher welfare products such as free range eggs and RSPCA Assured meats. To use a proportion of our profits to either pay for, or to subsidise, events for disadvantaged groups. To assess the ‘value’ of an event not simply in potential financial returns. To recycle as much as we are able. To pay our staff for the job they do, not based on their age. To respect the role of event organisers who are often volunteers! To replace the wood we have used by planting more trees. We have catered for Somerset County Council’s Autism Team’s (CAOT) summer camp – 3 nights…pizza, bbq and jacket spuds all at heavily subsidised prices for the last two years. We catered for the last two years at Somerset County Council’s Special Educational Needs Family Day with a subsidised menu. We cooked Christmas pizzas for residents and staff at Taunton Homeless Shelter; all free of charge. We are back there this year. We have run pizza workshops in schools for pupil free of charge. We use plastic as little as possible but where we have to we reuse as much as possible. We buy our meat from our local butchers, our bread and cakes from our local bakers and our fruit and veg from our local greengrocers. Our staff team is paid far in excess of any minimum or suggested wage. They work hard so are paid very well accordingly. They are worth every penny. We aim to be ‘low maintenance’ traders, helping out where we can and not causing unnecessary work for organisers. We have donated pizza meals for fundraising events. We have planted 4 Oak tree saplings. Company number: 10462887. Registered Address: 6 The Linen Yard South, Crewkerne, Somerset, TA18 8AB. 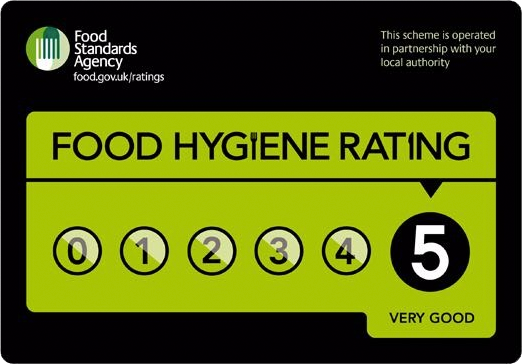 Ethic Street Pizza is registered with the Food Standards Agency and has achieved 5* rating. Fi and Mark hold Level 2 Food Hygiene certificates. Ethic Street Pizza is licenced by South Somerset District Council. Ethic Street Pizza has public and employers liability insurance click here. 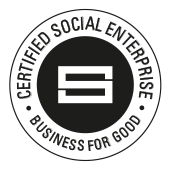 Ethic Street Pizza is registered with the Performing Rights Society; licence number 898229. This enables us to play amplified music if our customer’s events would benefit from some sounds. We would be pleased to make up a play list of choice. Ethic Street Pizza is a proud member of NCASS – the Nationwide Catering Association. They provide us with excellent advice and guidance to ensure what we do we do the best we possibly can. Tried some truly fantastic pizza last night from Ethic Street pizza, book them for your event!